Home Care Association of Florida, Home Care Association of Washington, Forcura, and the Pennsylvania Homecare Association. 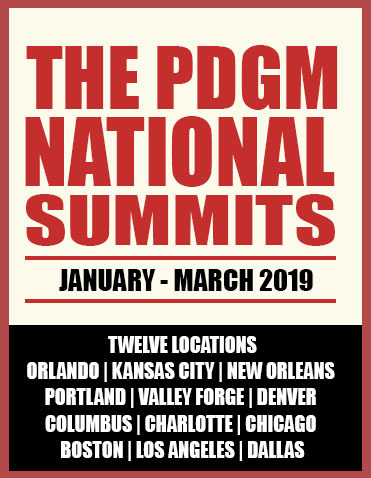 "Now is the time to dig into the proposed PDGM model, identifying key drivers for your success in 2020. Evaluating your financial net impact is one thing – knowing what to do about it is another! Preparing your operations and clinical modeling now will be key to your success under the PDGM. As an industry, we concurrently are moving toward escalating Value Based Payment at the same time. Learning how to optimize quality at the lowest cost will be crucial for success within the PDGM payment reform as well as advancing population health initiatives." -- Cindy Campbell RN, BSN, MHA - Healthcare Informatics, COQS, Director Operational Consulting, Fazzi, Inc.
“Attendees will learn the areas to focus their education, data (including OASIS and Coding) that they can use now to pinpoint potential issues, and strategies to use to focus their future strategic business and clinical direction. Managing a smooth PDGM transition is critical to the success of a home health agency, and can be the difference between thriving in the new model, or risking an agency’s sustainability.” - Kelly Murphy, Director of Coding Operations at Fazzi Associates, Inc.